The Chevrolet Cruze is available as a sedan and a hatchback. The hatchback offers drivers additional space, and it’s now equipped with an available 1.6-liter diesel engine. The Chevrolet Cruze Hatchback is rolling into 2018 with excellent fuel efficiency, peppy performance, and top-notch safety. The 2018 Chevrolet Cruze Hatchback is available in three trims: LT, Premier, and Diesel. What’s New for the 2018 Chevrolet Cruze Hatchback? 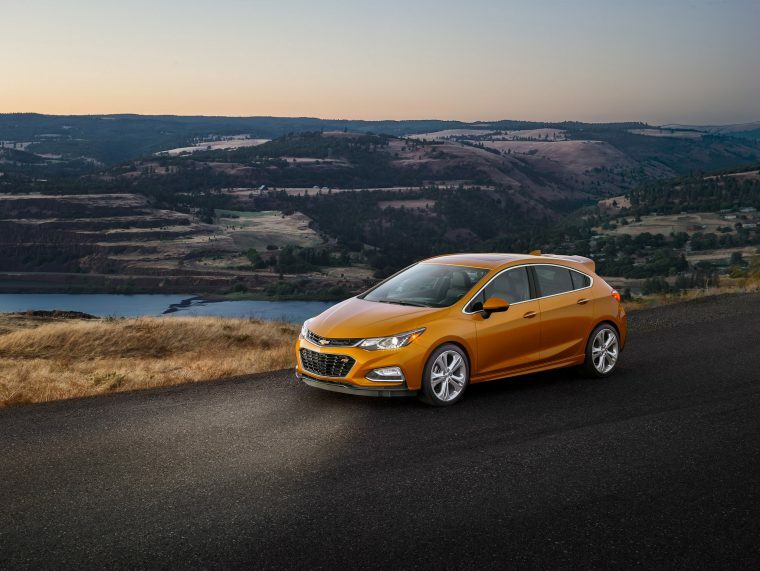 The addition of a diesel option on the Chevrolet Cruze Hatchback is new for the 2018 model year, offering drivers the ability to customize their powertrain even further. In addition to the diesel engine, Chevrolet has added Satin Steel Gray as a new exterior color. This five-door hatchback offers a fairly standard appearance across its trim levels, with little to no changes from the 2017 model year. All trim levels are equipped with LED daytime running lights, fog lights, and a rear spoiler. The wheels vary by trim level, ranging from 16-inch aluminum to 18-inch machine-faced aluminum wheels. The 2018 Chevrolet Cruze Hatchback is available in 10 exterior colors: Kinetic Blue Metallic, Red Hot, Satin Steel Metallic, Silver Ice Metallic, Summit White, Mosaic Black Metallic, Artic Blue Metallic, Pepperdust Metallic, Graphite Metallic, and Cajun Red Tintcoat. 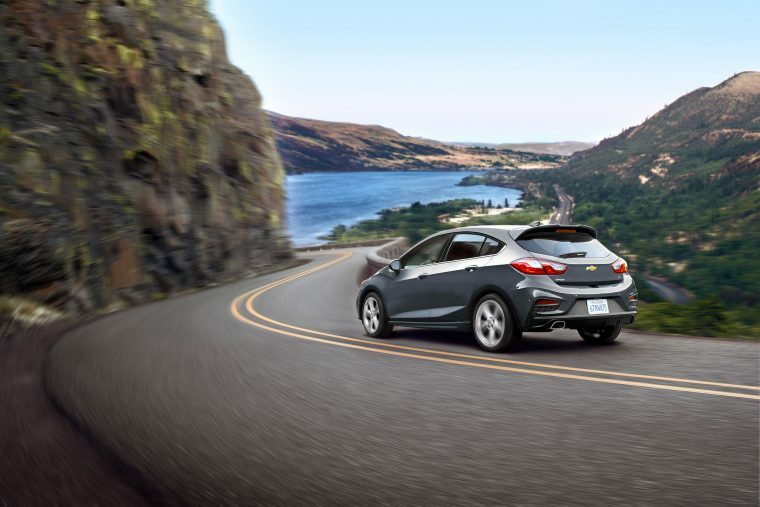 The 2018 Chevrolet Cruze Hatchback offers a regular gasoline engine as well as a diesel option. The LT and Premier are equipped with a 1.4-liter ECOTEC DOHC turbocharged four-cylinder engine. The LT is equipped with a six-speed manual transmission, but offers an available six-speed automatic. The Premier comes standard with the six-speed automatic transmission. The 1.4-liter engine produces 153 horsepower and 177 lb-ft of torque. The Diesel trim is equipped with a 1.6-liter ECOTEC DOHC turbo diesel four-cylinder engine. You can pair this engine to a six-speed manual or six-speed automatic transmission. The diesel engine produces 137 horsepower and 240 lb-ft of torque. 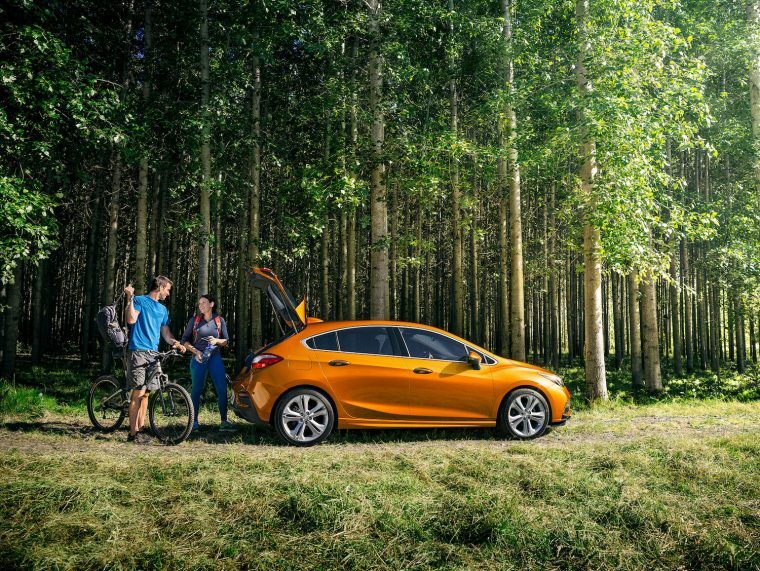 Efficiency is where the Chevrolet Cruze Hatchback is at its best. 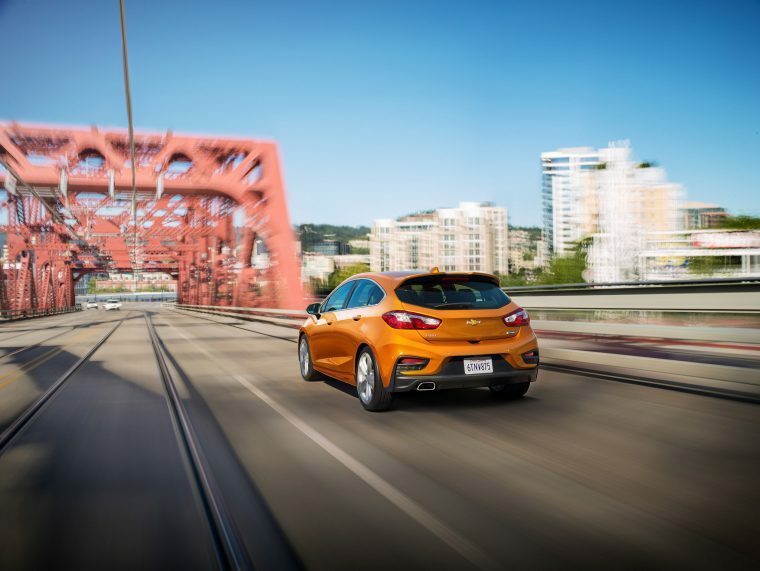 When equipped with the standard gasoline engine and six-speed manual transmission, the hatchback earns an estimated 27 mpg in the city and 38 mpg on the highway. The six-speed automatic transmission bumps efficiency ratings up to 29 mpg in the city and 38 mpg on the highway. The diesel engine spikes efficiency to a whole new level. When paired to the six-speed manual transmission, the Diesel earns an estimated 29 mpg in the city and 38 mpg on the highway. The automatic transmission drives the Diesel’s efficiency rating down to 30 mpg in the city and 45 mpg on the highway. The interior of the Chevrolet Cruze Hatchback is fairly standard. It lacks extensive interior technology, but its materials are comfortable cloth with available heated seats and a heated, leather-wrapped steering wheel, and key features like remote start, keyless start, and keyless open are standard on the Premier. 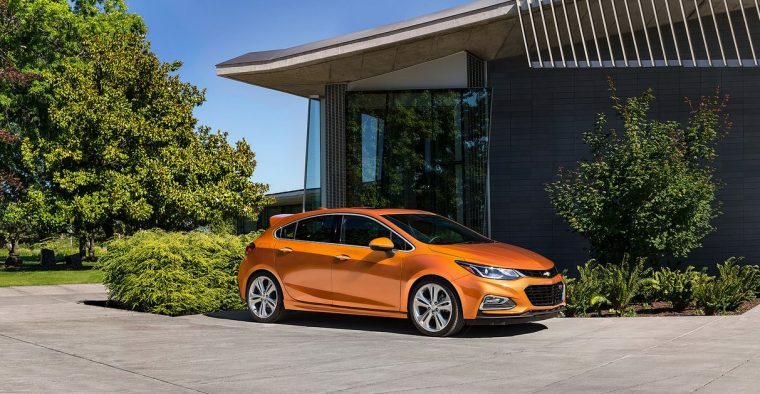 A standout safety feature on the 2018 Cruze Hatchback is its Teen Driver mode. General Motors recently released their Teen Driver technology, which allows parents to monitor their teen’s driving. The software tracks new drivers’ progress, ending each session with a “report card.” You can also set regulations for the teen’s key fob to limit their speed or technology access.